Fun DIY Craft – Lollipop Paper Flowers! Here is a delicious and fun DIY craft for the kids – paper flowers with a lollipop center. With just a few supplies you might already have on hand – you can be on your way to making these beautiful paper flowers with a fun treat inside. Now sit back and relax and watch our video tutorial! We hope you enjoyed this tutorial on how to put together paper lollipop flowers. If you make these use the hashtag kimspireddiy to show off your creations. Here are some of the ways you could use these: home decor, kids birthday party favors or decorations, baby shower favors, wedding decorations or party favors, flowers for Mother’s Day, Valentines Day flowers, Easter and so much more. They would also make a quick and easy kids spring craft or summer craft project. No matter how you choose to use these – you can be sure they will be hit. 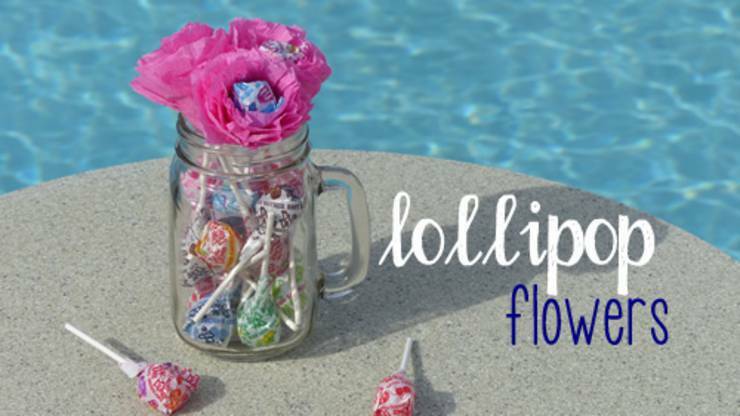 We would love to know how you would use these lollipop flowers – leave us a comment below.